Praetorianism is an administration system where the military takes an active role in political decisions openly or covertly. Also, praetorianism is the interference of a state or an individual with another person, against their will, and defended or motivated by a claim that the person interfered with will be better off or protected from harm. It involves a limitation on the freedom or autonomy of some agent and it does so for a class of reasons. The purpose of this study is to determine the levels of school principals' praetorianistic behavior. This research was designed with a descriptive scanning model. The target universe of the research is composed of 370 school directors working in public and private secondary schools in 25 districts of Ankara. In the research, the entire universe was reached and a "complete counting" technique was used. Data of the study were obtained using the praetorianism scale developed by the researcher. The data were reported using descriptive statistical methods. According to the results of the study, the most praetorianistic behavior of the school principals' is 'helpfulness'. It was also identified as praetorianistic behaviors in which 'authoritarianism', ' sordidness ', 'compelling' and 'orientation' were dominated by school principals, respectively. However, school principals also have some praetorianistic behavior in terms of ‘negative criticism’ and ‘restrictiveness’. The praetorianistic behaviors of school principals differ significantly according to the variables of gender, educational status, school type, and sector. On the other hand, it has been determined that professional tenure does not differentiate between praetorianistic behaviors. Praetoryanizm, askeri veya sivil otoritelerin siyasi ve sosyal kararlarda açık veya gizli olarak aktif bir rol aldığı vesayete dayalı bir yönetim sistemidir. Aynı zamanda praetoryanizm, devlet veya bireyin diğer bireyleri korumak amacıyla onlar adına kararlar alması veya eylemde bulunmasıdır. Praetoryanizmde yönetici, kendisi veya örgüt yararını korumak için yönetileni sınırlayabilir. Bu çalışmanın amacı, okul müdürlerinin praetoryanist davranış biçimlerini gösterme düzeylerinin belirlenmesidir. Bu araştırma, ilişkisel karşılaştırmalı tarama modeli ile tasarlanmıştır. Araştırmanın hedef evrenini, Ankara ilinin 25 ilçesinde resmi ve özel ortaöğretim okullarında görev yapmakta olan 370 okul müdürü oluşturmaktadır. Araştırmada evrenin tamamına ulaşılarak, “tam sayım” tekniği kullanılmıştır. Çalışmanın verileri, araştırmacı tarafından geliştirilen praetoryanizm ölçeği kullanılarak elde edilmiştir. Veriler, betimsel istatistik yöntemleri kullanılarak raporlaştırılmıştır. Çalışma sonuçlarına göre, okul müdürlerinin en çok sahip oldukları praetoryanist davranışın ‘yardımseverlik’ olduğu sonucuna ulaşılmıştır. Ayrıca sırasıyla 'otoriterlik', 'yararcılık', ‘zorlayıcılık' ve 'yönlendiricilik' okul müdürlerinin çoğunlukla sahip olduğu praetoryanist davranışlar olarak saptanmıştır. Bununla birlikte okul müdürleripraetoryanizmin ‘olumsuz eleştiri’ ile ‘sınırlayıcılık’ boyutlarındaki davranışlara da kısmen sahiptirler. 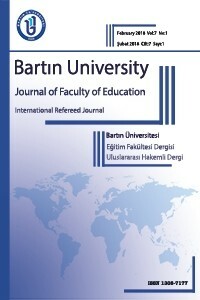 Okul müdürlerinin praetoryanist davranışları, cinsiyet, eğitim durumu, okul türü ve eğitim kolu (sektör) değişkenlerine göre anlamlı bir şekilde farklılaşmaktadır. Buna karşın mesleki kıdemin praetoryanist davranışları farklılaştırmadığı belirlenmiştir. Adams, G., & Balfour, D. (2014). Unmasking administrative evil. New York: Routledge. Adeniran, T. (1985). Military rule and nation-building: praetorianism revisited. The Nigerian Journal of Economic and Social Studies, 27(3), 329-344. Alexander, L. (2001). Illiberalism all the way down: Illiberal groups and two conceptions of liberalism. J. Contemp. Legal Issues, 12, 625. Altemeyer, B. (1988). Enemies of freedom: Understanding right-wing authoritarianism. New York: Jossey-Bass. Archer, C. I. (1990). The Royalist Army of New Spain, 1810-1821: Militarism, Praetorianism, or Protection of Interests?. Armed Forces & Society, 17(1), 99-116. Baron, R. A. (1988). Negative effects of destructive criticism: Impact on conflict, self-efficacy, and task performance. Journal of Applied Psychology, 73(2), 199. Beehner, L. M. (2018). A Means of First Resort: Explaining “Hot Pursuit” in International Relations. Security Studies, 1-31. Ben-Eliezer, U. (1997). Rethinking the Civil-Military Relations Paradigm: the inverse relation between militarism and praetorianism through the example of Israel. Comparative Political Studies, 30(3), 356-374. Bowman, K. S. (2010). Militarization, democracy, and development: The perils of praetorianism in Latin America. Pennsylvania: Penn State Press. Bowman, K. (2002). Militarization, Development, and Democracy: The Perils of Praetorianism in Latin America. Pennsylvania: Penn State Press. Cann, R., & Danopoulos, C. (1998). The military and politics in a theocratic state: Iran as case study. Armed Forces & Society, 24(2), 269-288. Cunliffe, P. (2014). The New Liberal Praetorianism. H-Diplo, 280. Danopoulos, C. P. (1984). Warriors and politicians in modern Greece (Vol. 1). London: Documentary Publications. Danopoulos, C., & Zirker, D. (2002). Civil-military relations theory in the post-communist world. Geneva Centre for the Democratic Control of Armed Forces, 38, 1-23. Decalo, S. (1975). Praetorianism, Corporate Grievances and Idiosyncratic Factors in Military Hierarchies. Journal of African Studies, 2(2), 247. Egreteau, R. (2016). Embedding praetorianism: soldiers, state, and constitutions in postcolonial Myanmar. In Politics and constitutions in Southeast Asia (pp. 131-153). New York: Routledge. Eyal, O., & Kark, R. (2004). How do transformational leaders transform organizations? A study of the relationship between leadership and entrepreneurship. Leadership and Policy in Schools, 3(3), 211-235. Gaub, F. (2017). Like father like son: Libyan civil–military relations before and after 2011. Mediterranean Politics, 1-15. Giroux, H. A. (2018). Terror of Neoliberalism: Authoritarianism and the Eclipse of Democracy. New York: Routledge. Hansen, R., & King, D. (2000). Illiberalism and the new politics of asylum: liberalism's dark side. The political quarterly, 71(4), 396-403. Harpe, S. E. (2015). How to analyze Likert and other rating scale data. Currents in Pharmacy Teaching and Learning, 7(6), 836-850. Hen-Tov, E., & Gonzalez, N. (2011). The militarization of post-Khomeini Iran: praetorianism 2.0. The Washington Quarterly, 34(1), 45-59. Herspring, D. R. (1992). Civil—military relations in post-communist Eastern Europe: The potential for praetorianism. Studies in Comparative Communism, 25(2), 99-122. Jarausch, K. H. (2014). Students, Society and politics in imperial Germany: The rise of academic illiberalism. New Jersey: Princeton University Press. Kerfoot, D., & Knights, D. (1993). Management, masculinity and manipulation: From praetoryanism to corporate strategy in financial services in Britain. Journal of Management Studies, 30(4), 659-677. Kowalewski, D. (1991). Periphery praetorianism in cliometric perspective 1855-1985. International Journal of Comparative Sociology, 32(3), 289-303. Lakens, D. (2013). Calculating and reporting effect sizes to facilitate cumulative science: a practical primer for t-tests and ANOVAs. Frontiers in psychology, 4, 863. Ling, Y. (2003). From praetorianism to democracy [J]. Journal of Shijiazhuang Teachers College, 2, 015. Ma, L., & Tsui, A. S. (2015). Traditional Chinese philosophies and contemporary leadership. The Leadership Quarterly, 26(1), 13-24. Maier, S. F., & Seligman, M. E. (1976). Learned helplessness: Theory and evidence. Journal of experimental psychology: general, 105(1), 3. McLauchlin, T. (2010). Loyalty strategies and military defection in rebellion. Comparative Politics, 42(3), 333-350. Mulford, B. (2003). School leaders: Changing roles and impact on teacher and school effectiveness. New York: Education and Training Policy Division, Oecd. Nordlinger, E. A. (1977). Soldiers in politics: military coups and governments. London: Prentice Hall. Peruzzotti, E. (2004). From praetorianism to democratic institutionalization: Argentina's difficult transition to civilian rule. Journal of Global South Studies, 21(1), 97. Raviot, J. R. (2017). Russian Praetorianism: exercising power according to Vladimir Poutine. Hérodote, (3), 9-22. Rizvi, A. J. (2015). Civil-Military-Islamist Relations: An Opinion on Democracy, Islamist Militancy and Praetorianism in Pakistan. New York: Prentice Hall. Seligman, M. E. (2005). Helplessness: On depression, development and death. London: WH Freeman & Co..
Vogt, W. P. (2006). Quantitative research methods for professionals in education and other fields. Columbus: Allyn & Bacon.